With Super Bowl 2014 only a few days away, everyone is getting truly excited. This is the very first outdoor Super Bowl, which will held in the cold weather. Millions of people will gather around in the MetLife stadium in East Rutherford of New Jersey on February 2, 2014 to watch this game. While the organizer is charging $4 million dollars for every 30 second to air a Super Bowl 2014 ad, Toyota is willing to write the check as they won’t get such an opportunity later on. As Super Bowl is closely linked with car fanatics, almost every single cam manufacturer is going to air their ad in the middle, beginning or at the end of this game event. Toyota, one of the biggest car brands is also not an exception to this and they will be promoting their car in a funny way as we have come to know that it will have Muppets in it. Our sources at I4U have confirmed that the Toyota Super Bowl 2014 Ad will star the legendary Muppets. However, we couldn’t manage to get that much detail about it so far as Toyota is really keeping the matter “Hush Hush”. But we have seen Rowlf, one of the Muppets to appear in the back seat of the Toyota Highlander, which is a clear sign that this ad will be really funny as they still have what it takes to click with the audience. This was actually a teaser of the actual ad where can see that the Muppets have a broken car in the middle of the desert when a Highlander pulls over to help. Before the driver can realize, Muppets get into the car and we see Rowlf check the door lock. The background sound is really spooky which starts with a thrilling tone, but gradually takes up a funny tone. If you see this, you will surely feel that something funny is going to happen. If the teaser is so funny, we are sure that the whole ad will be awesome. 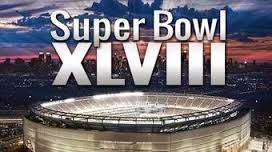 So keep visiting I4U as we will be posting any new updates on the Toyota Super Bowl 2014 ad as well as ads from other top brands.